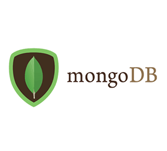 MongoDB is a document database which is a leading open-source and NoSQL database. It is written in C++. This tutorial will give you detailed explanation on MongoDB concepts which are required which are required for creating and deploying highly scalable and performance-oriented database. This tutorial is useful for Software Professionals who wish to learn MongoDB Database in simple and easy way. You will get better understanding on MongoDB concepts and by the time of completion of this tutorial you will get an intermediate level of expertise. Before starting with this tutorial, users should have a basic understanding of database, text editor and execution of programs, etc. As we are going to develop high performance database, it is recommended to have better understanding on the basic concepts of Database (RDBMS).